I’m minded to celebrate with a promotion, but WargamingGirl’s is still running, and I don’t want to clash with that; also I’m frantic in the run up to Raphia at Partizan on Sunday. But I will do something in due course... please watch this space. In the meanwhile, in the finest tradition of the BigRedBatCave, I shall celebrate by posting some minis that someone else has painted, far better than I ever could. 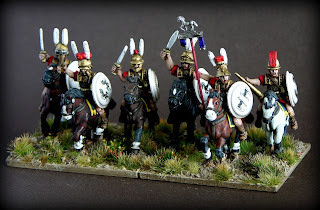 I bought these lovely Aventine Roman Allied cavalry from Redzed last year (as part of a small Republican Roman army), and gave them suitable shields and based them, yesterday. Luvverly! Congrats Simon! 500K is great achivement!! Congratulations Simon! Half a million... now that is something to behold! Not wanting to spoil the party, but hopefully it's not down to the same countless spambots that kept plaguing my old blog. They cause quite a lot of unwanted traffic these days. Bots or no bots it´s an achievment!! Congrats!! Congrats on the 500k milestone Simon. It's well deserved. Hi Tamsin, I want to let the dust settle, and sort out some nice prizes... and this week will be craaaazy! Congratulations! The milestone's well-deserved, this blog is an inspiration. Conga Rats! Very nice cavalry too. Well done Simon almost as many as the pikes you have! Well done, Simon! Your figures, terrain, games and posts continue to be an inspiration to all of us who dabble in ancients. I hope you have a nice 500,000 year old wine to tuck into to celebrate the occasion. Cheers, and here's to many hits more! Well done on achieving such a milestone. Your blog continues to be very inspirational. Very many congratulations a tremendous achievement - well done Sir. Congrats Simon! Let the celebration games begin! Well done mate. 500K is a massive achievement and bots or not you should be proud. 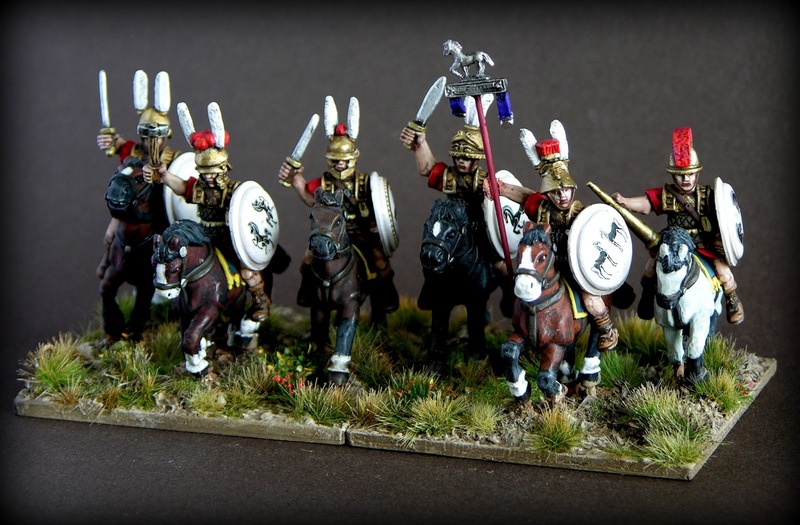 Congrats for the 500k...and for these wonderful Etruscans! !